Even if you don’t dabble in massively multiplayer games, EVE Online is worth a look just for the revelations that emerge from creating a loosely regulated world and opening it up for nerds to play with. One of the greatest advertisements of all time. First, a bit of context for those unfamiliar with the game. EVE is a space-based massively multiplayer online (MMO) game where thousands of players flit between hundreds of solar systems, each with unique planets, moons, asteroid fields and space stations, and they mine, trade and fight. Often they fight each other. EVE has one of the most active player-versus-player (PvP) communities of any MMO. A large tract of space in EVE is called nullsec, meaning it is effectively lawless. While a player will become an outlaw and be hunted by computer-controlled authorities for attacking another player in high security (highsec) space, in lowsec there’s no automated retribution. 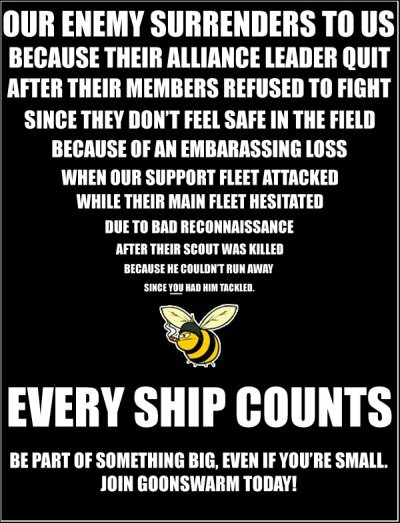 It’s true frontier stuff. Players can also band together to create corporations, mining the rich resources in nullsec, using those resources to build ships, equipment and even space stations. These corporations effectively gain sovereignty over that sector, and they protect it from invasion by other corporations.